This interview was broadcast from Southern California's Law of Attraction Radio with host Jewels Johnson. 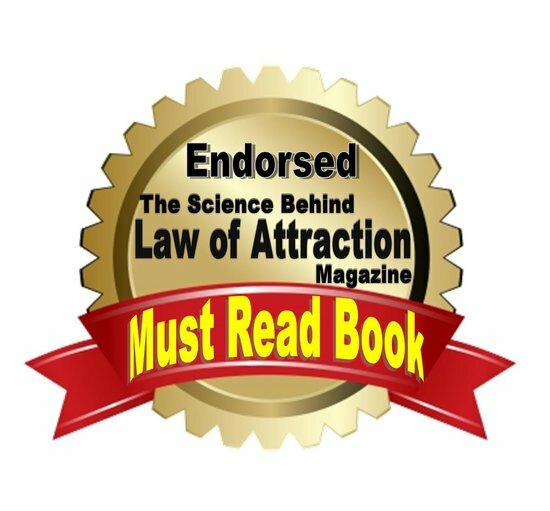 The February 2016 edition of Law of Attraction Magazine lists Finding Peace in Life and Death as one of this month’s four most highly recommended books. Portland Book Review (Portland, Oregon) gave Finding Peace in Life and Death a five star rating. 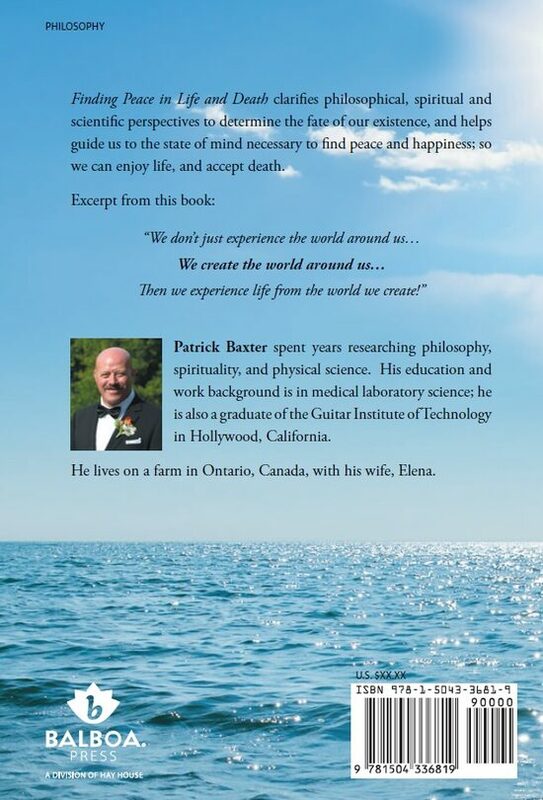 “Finding Peace in Life and Death, by Patrick Baxter, gives readers an introduction into the spirituality and practicality of death. 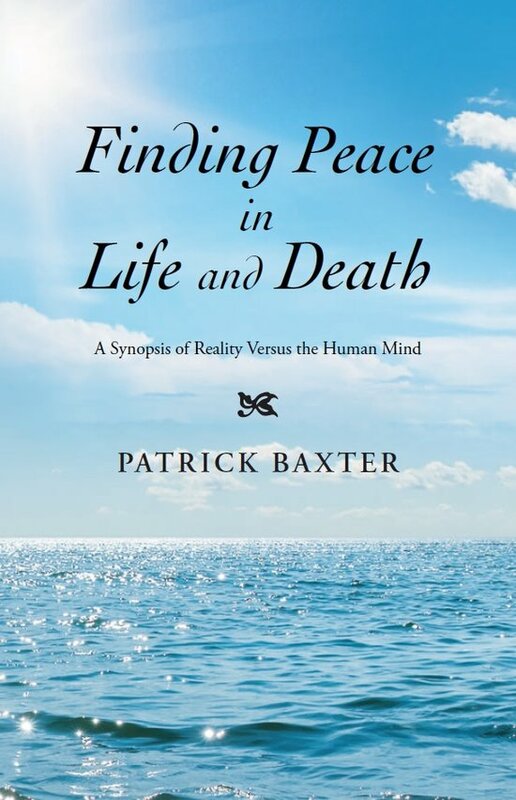 Baxter effectively and comprehensively weaves together the similarities of many different philosophies and religions that surround the themes of death, and reality as a human construct. This is a beautiful read and is an ideal first book for readers who are interested in philosophy, spirituality, self-help, and comparative religion. The book is divided into two overarching parts. 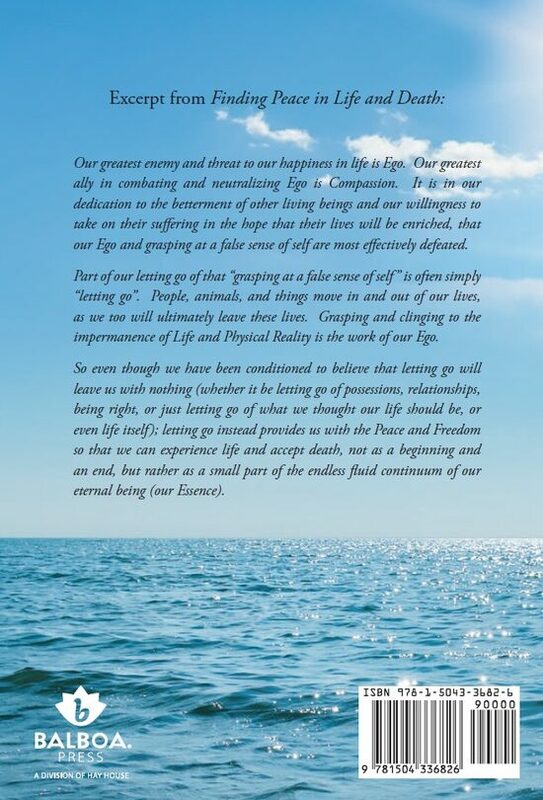 The first, titled “The Role of Reality in Life and the Pursuit of Happiness,” delves deeply into theory, and seamlessly scaffolds thoughts surrounding the ideas of ego and a person’s essence, which in the book is also called divinity. The second part of the book is called “The Second Coming: The ‘I’ of the Beholder,” and uses the previously discussed themes and applies them in larger contexts than just the self, including social structures, the world, and the entire universe. Finding Peace in Life and Death maintains a balanced blend of information and approachability. It is wonderful for novices to the subject - the intended audience. Baxter’s voice and style of writing is simple, straightforward, and easy to understand. His command and understanding of the subject matter leads to wonderful explanations, analogies and visual interpretations of extremely difficult, ancient, and abstract theories. He does not oversaturate the reader in information. Rather, the book is fairly short and nicely paced. The chapters are brief, and although not necessary in the eBook version, there are blank pages at the end of each for personal note taking. Baxter writes in a very familiar way, and shies away from large words and complex sentence structures. There is nothing pretentious about the way he writes, and his tone is non-judgmental and empathetic. I wrote this song, Stepping Across after a close friend committed suicide; I recorded it for my 1998 solo CD Waitin' For The Train. Listen to the full CD (it's all free). A former College Instructor of Medical Laboratory Science, Patrick Baxter's laboratory experience has mostly been focused on drug testing and extraction technology. He currently works in the extraction lab for a Canadian Medical Marijuana facility. He is also an honours graduate of Musicians Institute in Hollywood, California. Finding Peace in Life and Death clarifies philosophical, spiritual and scientific perspectives to determine the fate of our existence, and helps guide us to the state of mind necessary to find peace and happiness; so we can enjoy life, and accept death. Click to find a Barnes and Noble near you. Available in Canada from: Chapters, Indigo, Coles and affiliates. Click to find a store near you.